Some Facebook natives have already perfected the process of uploading photos and tagging people who have nothing to do with the photo. Yes, they get into the tagging frenzy and stops when the tags reach 50, the maximum allowable number of tags in a photo. People who do this are ginning up likes so they can tell everyone that ‘Hey, I’m so popular!’ Not so. These are fake likes that you cannot and should not brag about. It’s spammy and irritating at that. 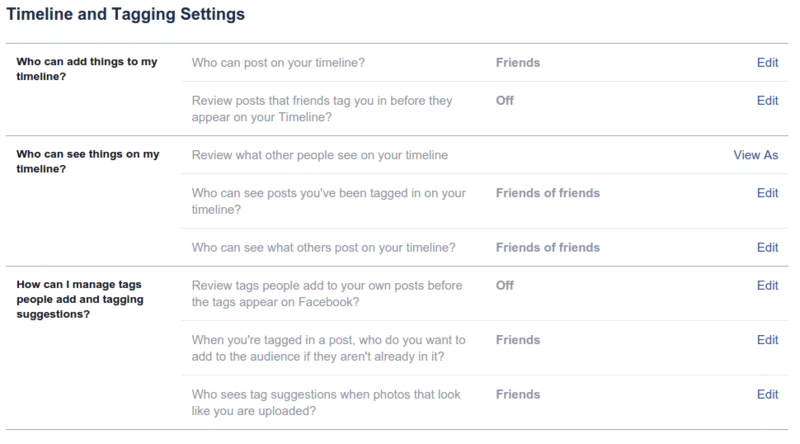 Further, some users are asking this question from Facebook Help Center – What if I don’t like something I’m tagged in? Perhaps, they can no longer stand a friend tagging him or her over again for the photos that they don’t want to be tagged in. 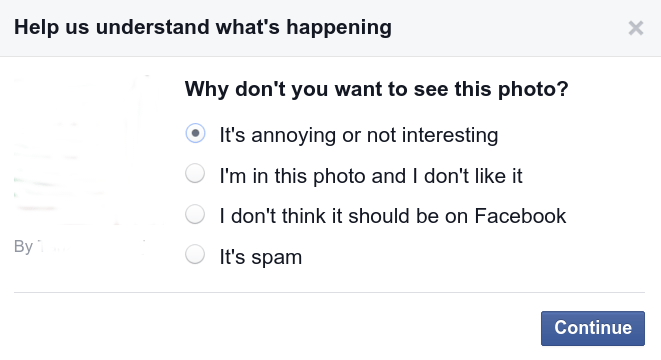 Primarily, you must ask the person to untag you in the photo. If this fails, you can remove the tag by yourself. Here’s how. Click the arrow-like icon. A drop-down menu will be displayed. A dialog box will open. Click OK.
Click the arrow-like icon beside the time stamp. Click the most appropriate reason. 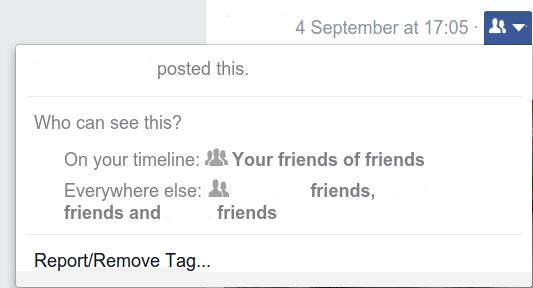 Another option is to control tags and shares on your own Timeline. 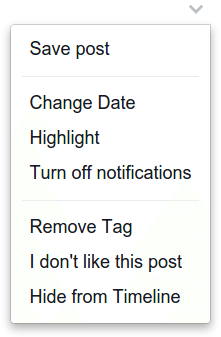 This is called Timeline review that you have to turn on first before you can filter the tags. Below are the steps. Choose Timeline and Tagging. You will be directed to the Timeline and Tagging Settings page.